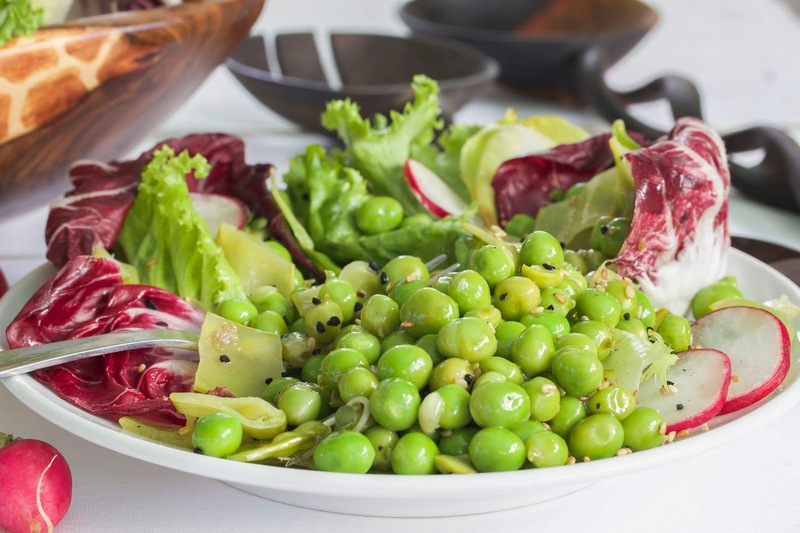 It’s all about the peas in this salad, but the dressing really is the star. Credit for the original recipe goes to Head Chef Mathew DeMille at the Drake Devonshire Inn in Ontario, Canada. Featured in this month’s Food & Wine Magazine, this beautiful and fresh-tasting salad is, of course, delicious in any language. 1. Whisk the vinegar with the lemon juice and garlic; set aside for 5 minutes to let flavors blend together. 2. Whisk in the maple syrup and mustard; gradually whisk in the oil and season with salt and pepper. 1. Trim the ends of the snow peas. Halve about 1/3 of the snow peas on the diagonal. Julienne the rest of the peas vertically. 2. Boil a pan of salted water and blanch the snow peas and English peas for about 30 seconds; drain the peas, and pat dry with paper towels. 3. 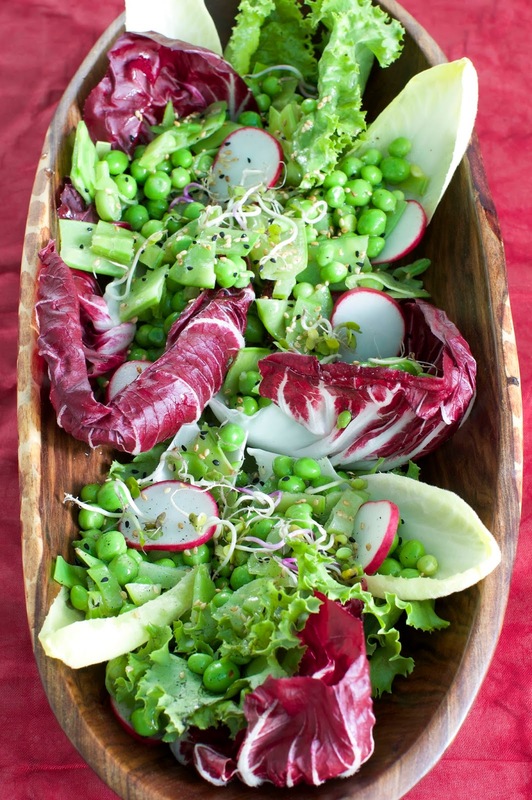 In a large bowl, toss the peas, sprouts, radish and 4 - 5 tablespoons of the dressing. Place the endive and radicchio leaves on plates or platter. Top with the pea salad. Sprinkle with sesame seeds. Serve with the additional dressing on the side.